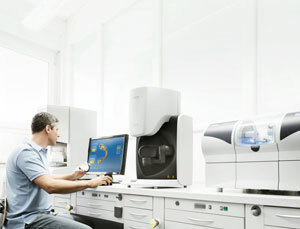 Whether it is the accuracy associated with digital impressions, the high-level outcomes from the dental lab, or the precise fabrications provided by our digital dentistry services, our professional team specializes in digital dentistry solutions with high precision, time and cost efficiencies, and maximum services to Las Vegas area dentists. For additional information about the true power of digital dentistry, including the ability to use precise digital impressions that provide a higher level of accuracy, call 720-739-3022. Our dental lab is technologically advanced in digital dentistry services incorporating computer-controlled components in contrast to common mechanical and/or electrical services. And that represents cost and time efficiencies from our dental lab directly to the Las Vegas dental community. The use of digital impressions is changing dentistry and growing rapidly. In our dental lab, we have made the transition from conventional hand designs to digital impressions. In addition to improved accuracy, digital impressions reduce turn time for your Las Vegas practice. The quality of digital impressions has led to improved restorations fit by reducing impression-taking errors. 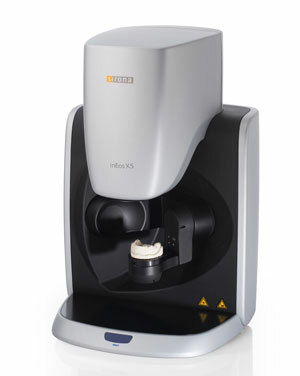 Digital impressions also eliminate material inaccuracies resulting in fewer restoration errors in the dental lab. Call us at 720-739-3022 to learn more about digital dentistry solutions, including digital impressions from our premier dental lab that reduce turn time for your Las Vegas practice. As digital dentistry technology has grown in recent years, our capability as a dental lab has increased its advancement and provision of state-of-the-art services to the dental community. With the use of CAD/CAM design in our dental lab, we are able to provide fabrications that are economical, predictable, accurate and consistent. We are continually replacing traditional manual systems with new digital dentistry technology. The digital revolution has enabled our dental lab to provide remarkable system benefits to clinicians who wish to do more in less time by taking advantage of our digital dentistry methods, including highly accurate digital impressions that ensure better restoration outcomes. We welcome the opportunity of working with you by integrating our modern digital dentistry technology into your Las Vegas area practice. For more information about the benefits of joining the digital dentistry revolution, call 720-739-3022.